Additionally, people have become acclimated to technologies in their everyday lives that make it easier to communicate, collaborate and share, such as Google Drive and FaceTime. These expectations influence what employees require in a work environment and dictate the need for solutions and features that make jobs more efficient and processes more streamlined; these needs continue to grow exponentially as technology evolves. Due in large part to the demand of their employees, businesses are requiring solutions and features that make their operations more efficient and more profitable. 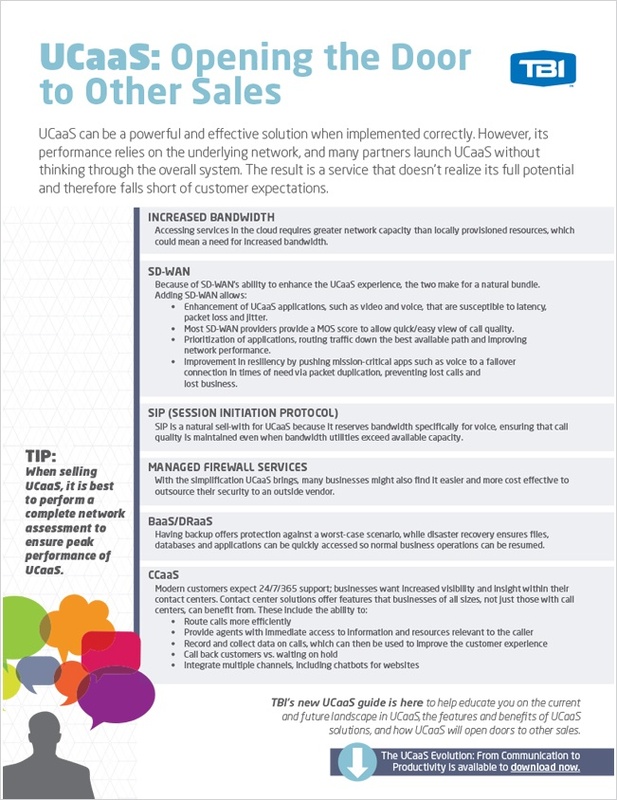 As a result, partners need to ensure they understand the different types of solutions that can be sold with UCaaS to meet all the business needs of their customers and successfully deliver on their expectations. If partners fail to consider their customers’ overall systems requirements, they run the risk of selling a service that doesn’t realize its full potential and therefore doesn’t meet the customers’ needs or expectations.